Good day to you all! Webster here. It's only been a matter of days since that deer quite literally crashed into my office, and so much has seemingly happened! 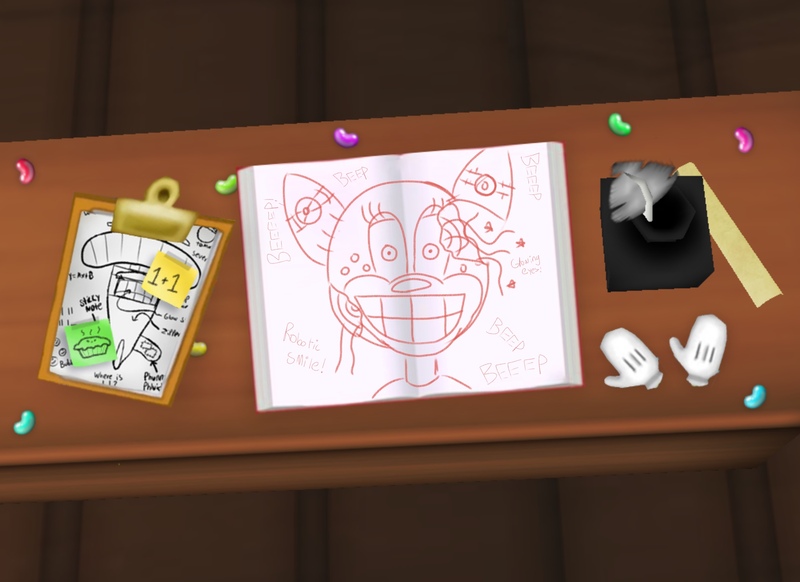 Loony Labs has seemingly begun it's next major project, all thanks to that mysterious sound Toons across town have reported hearing, and yet we still have no clue what it may have been! 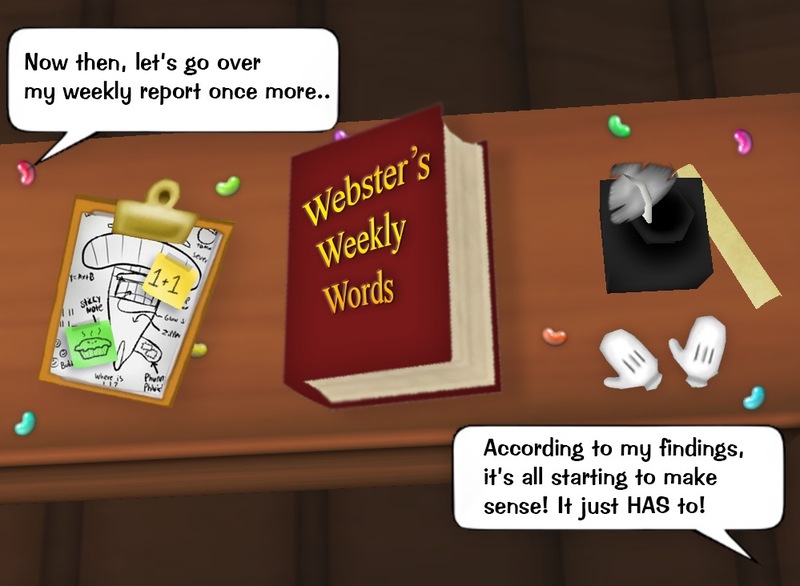 I've spent the last 4320 minutes here at my desk putting together a few potential clauses for all of this confuddling and confusion amuck amongst Toontown as we speak! Oh, and from what I've heard on W.A.C.K.Y Radio just this past morning, it seems you should also check out the Acorn Acres Minigame Area once more after you're done reading into my findings, as I hear the scholarly geniuses over at Loony Labs have already knocked down most of that old statue, and are proceeding on towards the next phase of their so called "Operation: MAYDAY". Additionally, my theories may be a bit off, but it's the best I've got using that 100% absolutely positively trustworthy Toon Truths magazine posted a few days ago as my source. Could I be a bit off? Potentially. I doubt it's all fiction though, especially after that one shocking piece of evidence discovered last night. Anywho, on with the presentation! "Hmm... Starting off, here's my first theory. Since we already have C.O.G. Disguises, Loony Labs must be making up some kind of cog transportation disguise! Oh, I do hope they know what they are getting into." "That's right, with its propeller thingamabobbers and whatchamacallits, Loony Labs must be creating a C.O.G.-like transportation device as a way to sneak onto one of their properties!" "Now then, was it just me, or did Doe Vinci look a little mechanical? Or was she just a little maniacal? Only the C.O.G.S. have propellers to fly! Could Doe Vinci be a C.O.G. in a TOON disguise?!" "I could have sworn Doe Vinci said she wasn't from around here. Where else could she be from? A new C.O.G. Headquarters perhaps? Disguised as one of us?" "The only use of a plane is to travel without having your feet touch the ground. Does Loony Labs want to travel outside of Toontown?" "What in the Tooniverse are scientists even doing with a plane? Seeking places in which we haven't discovered before perhaps?" "Loony Labs must finally be curious enough to track down where those cogs fly off to! Oh my, they should be very cautious." "I sure hope none of the scientists have acrophobia..."